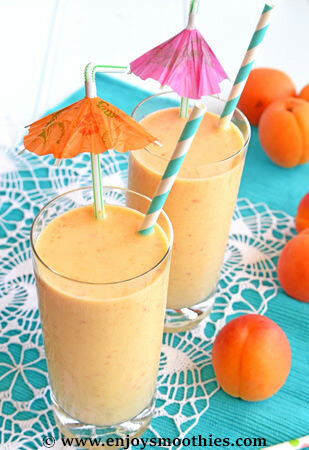 A cold apricot smoothie is a delicious way to enjoy this delectable fruit. I always look forward to summer so I can enjoy the fresh variety. I have fond memories of my childhood and a backyard filled with fruit trees. Several of these were apricot trees. I can still remember the juiciness of freshly picked fruit. Perhaps it's nostalgic memories of childhood, but it all tasted so good. So much better than today. Why is it that food always tastes better when it's home grown? At their best apricots are delectably sweet and juicy, but sad specimens at their worst. When buying look for fruit with a smooth golden-orange skin that has a hint of red. The fruit should be plump, slightly soft but not hard, with a delicate sweet scent. 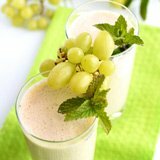 If the fruit is too soft and squishy it is definitely overripe and should be avoided. If the fruit is still hard then it is not ripe. But avoid buying anything that is rock hard and tinged with green, as the fruit is unlikely to ripen. Fruit that is almost ripe can be helped along. Place in a paper bag, not plastic, and store at room temperature. Apricots ripen much faster than other stone fruits, so don’t leave them sitting around for too long. One or two days at the most. I don’t recommend storing them in the refrigerator, as they lose their flavor. This is what happens to apricots that have spent long periods of time in supermarket cold stores. 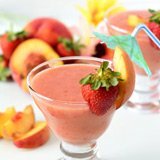 Much better to source your fruit from farmers markets. Apricots have a slightly tangy, tart flavor that lies somewhere between a peach and a plum. 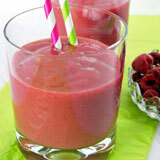 When used in smoothies they really need to be paired with another fruit for added sweetness. 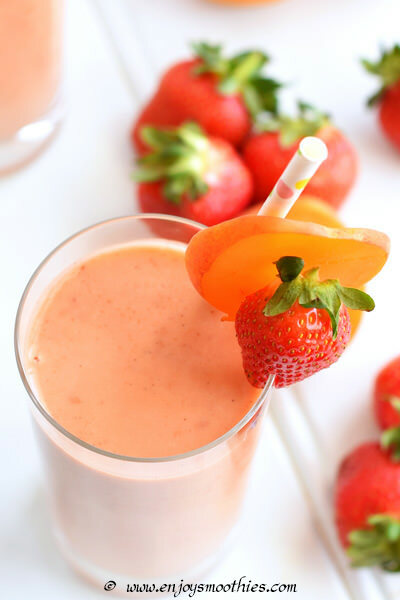 Other orange colored fruits, such as mangoes, go well as do berries such as strawberries. 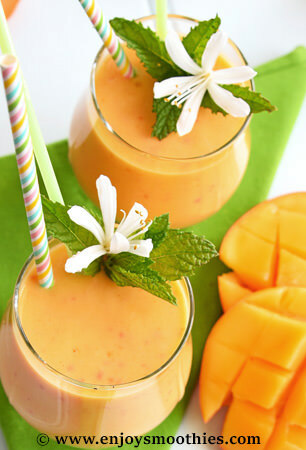 The flesh, like that of the mango, gives smoothies a velvety texture. 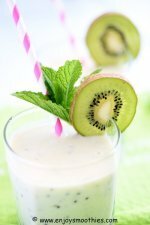 For a truly filling drink that will keep you going until lunchtime, add a banana or yogurt. The vivid orange color of apricots gives the hint that this fruit has high levels of carotenoids (including beta-carotene and beta-cryptoxanthin). Apricots also contain a healthy supply of vitamin C and potassium and are also high in vitamin B, potassium, iron, magnesium and fiber. Apricots are a great low calorie food rich in antioxidants giving you great protection against free radical damage. 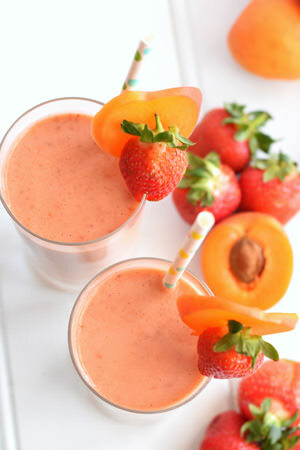 Into the blender add the apricots, strawberries, vanilla yogurt, almond milk, vanilla bean paste and honey and whizz everything together until creamy and smooth. 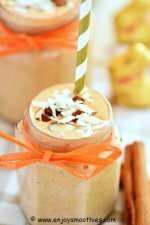 Add the bananas, apricots, orange juice, almond milk, cashew butter, vanilla extract and honey to a blender. Whizz on high until everything becomes smooth and frothy. 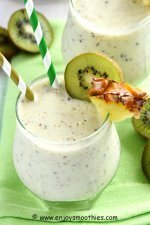 With the addition of pineapple and coconut, your apricot smoothie can be transformed into a tropical delight. 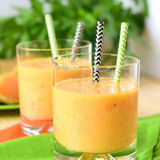 Blend together the apricots, pineapple, yogurt, coconut milk and coconut essence until smooth. 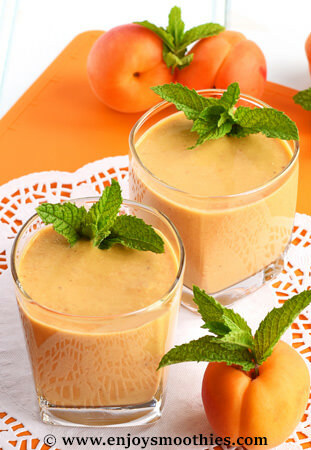 Apricots seem to blend beautifully with other orange colored fruits. Blitz on high the apricots, mango, vanilla yogurt, orange juice, almond milk and grated ginger until everything becomes deliciously smooth and creamy. Then pour into your favorite glasses and enjoy.